La Pedrera and Casa Batlló are the most emblematic Gaudí's houses and current jewels of Passeig de Gràcia. Entrance fee to Montjuïc Castle. Entrance to the audiovisual “Espai Audiovisual Montserrat” exhibition in Montserrat. You have approximately 1 hour and 15 min of free time for lunch (from April to October) and 30 min (from November to March) between both parts of the excursions. Lunch not included. As the tour includes walking tours, we recommend you to use comfortable clothes and shoes. 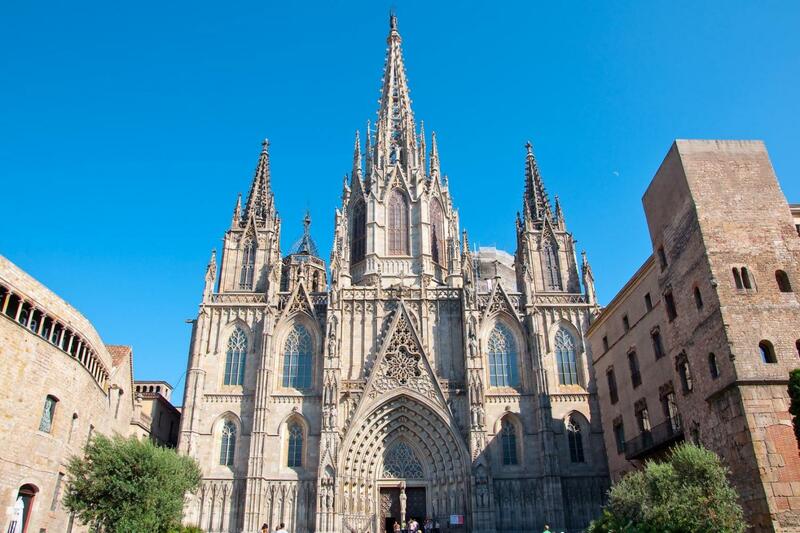 Correct dress code may be requested for entrance to the Cathedral and Montserrat. 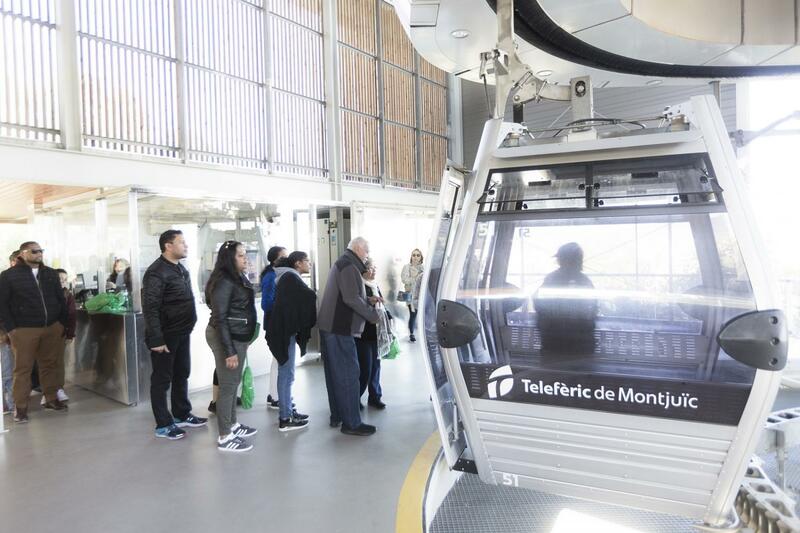 From the end of January to the beginning of March (dates to be confirmed) the cable car doesn't work due to maintenance tasks, this service will be replaced by an appetizer in the Montjuïc Castle. 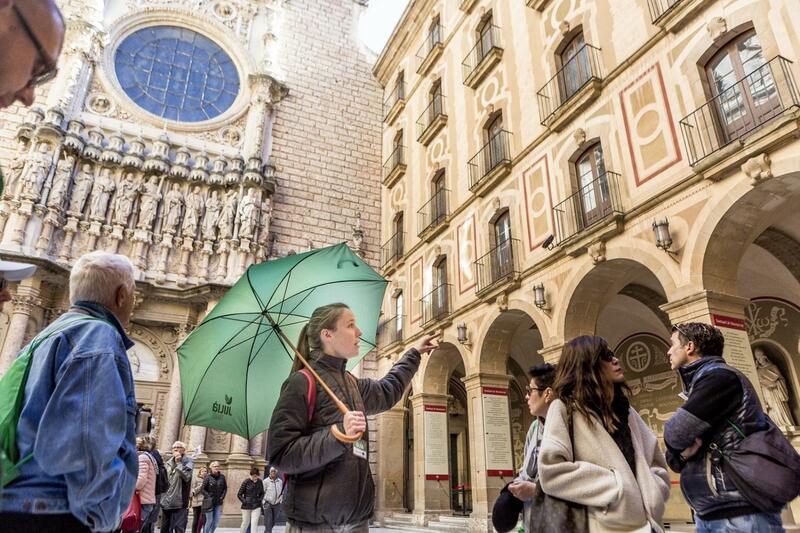 The first part of the visit consists in a guided walking tour through the small and narrow streets of the Gothic Quarter, the oldest part of the city. During this early visit we will see Las Ramblas, the Cathedral Square, The Cathedral, the Old Jewish Quarter, among other interesting places. You will be given of some free time to visit the Cathedral by yourself. Later we will take our bus to start with a panoramic tour around the rest of the city. We will pass through the elegant Passeig de Gràcia Street, where there are located two of the most important Gaudi’s buildings (Casa Batlló and Casa Milà “la Pedrera”), the Triumph Arc, the Olympic Village and the Olympic Port, where we will do a brief stop. 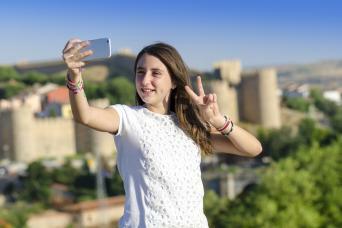 For the next part of the visit we will access to the Montjuic Mountain. This is an important place because was the main scenery of the Olympic Games in the 1992. We will stop a few minutes in the Olympic stadium and later we will have the opportunity to enjoy the panoramic views of the city riding the aerial tramway (subject to the weather conditions). For the next part we will visit the Montjuïc Castle. 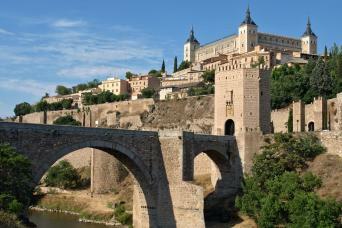 Its origins date back to 1640, being the oldest fortress in the city. During the centuries has been a watcher tower, dungeon, execution center and, above all, an ideal viewpoint to know what’s going on from a bird’s eye-view. 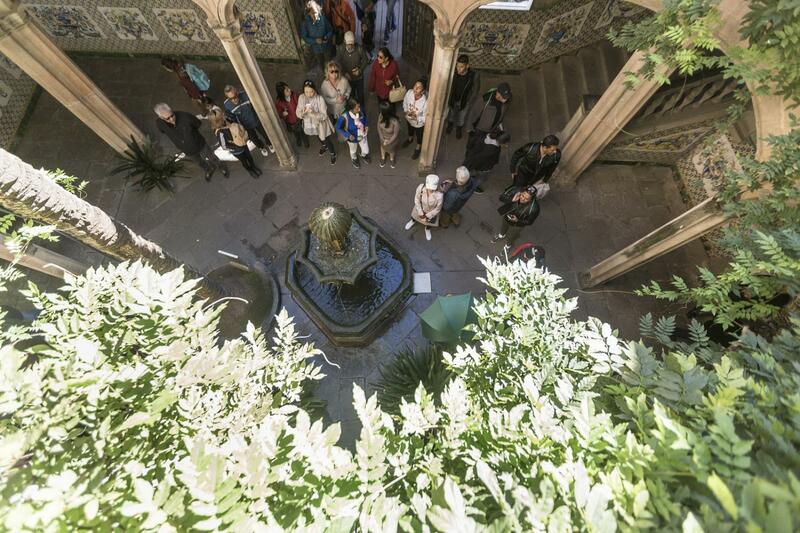 Today, it is an incomparable landscape to enjoy a 360º panoramic picture of Barcelona and being part of the numerous social, civil and cultural events taking place here. 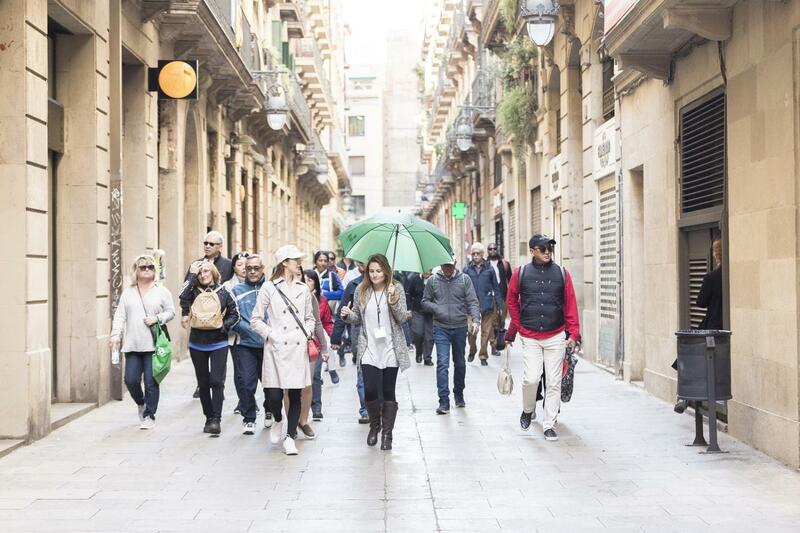 Take a trip to Barcelona's hectic past and enjoy the most privileged views of the city. 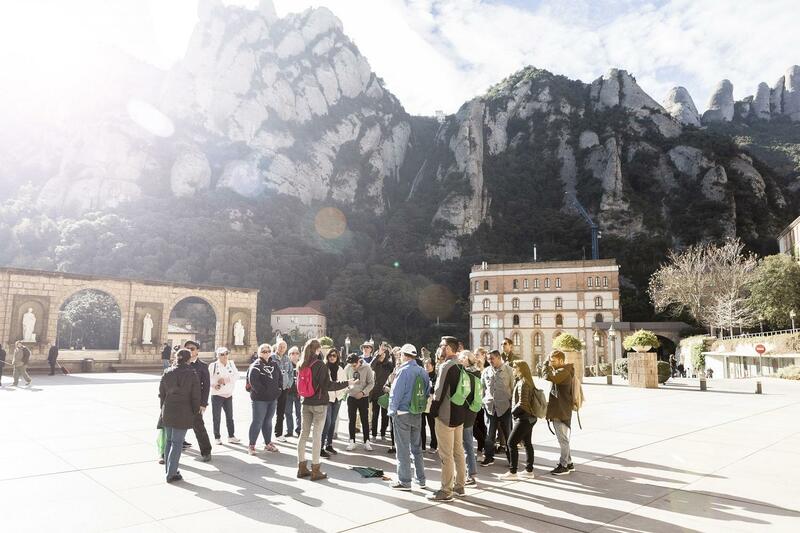 At the end, back to the bus, we will leave Montjuïc and come back to the city center passing through Espanya square, where we will admire the magical fountains, the twin venetian towers, the MNAC and the Shopping center Las Arenas, build in an old bullring. We will arrive to Catalunya square, and we will end up the tour in front of Hard Rock Café, just five minutes walking distance from Julià Travel office. 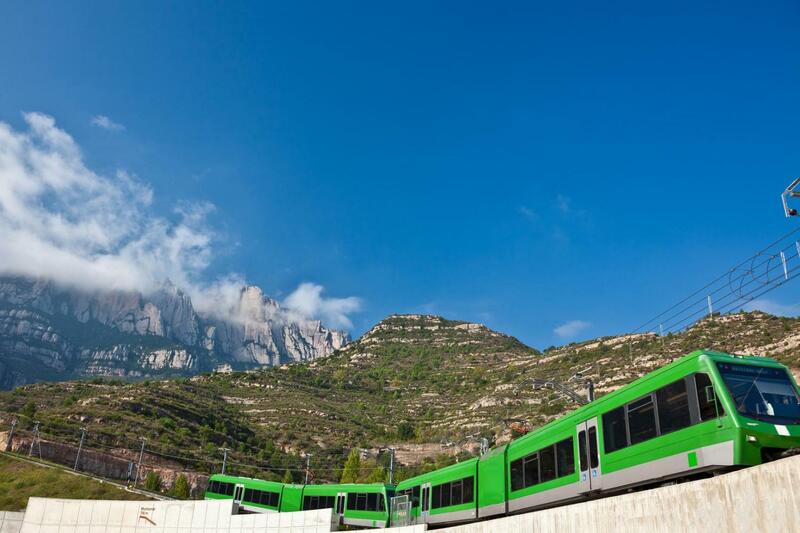 After some free time for lunch, we will face Montserrat, a rocky mountain located 50 km to the southwest of Barcelona. It is considered the most significant and important mountain of Catalonia. 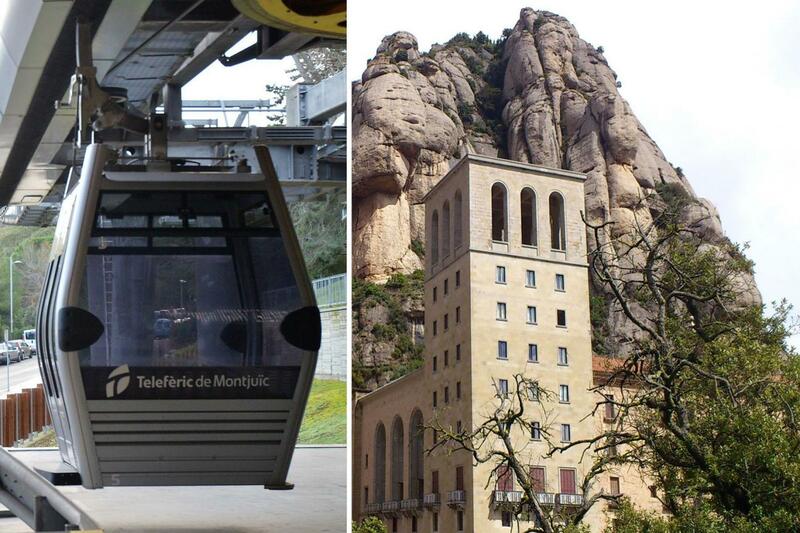 The etymology of Montserrat comes from Catalan Mont (mountain) and serrat (serrated). The mountain receives its name for its peculiar morphology. In 1987 Montserrat was declared a Natural Park to ensure its conservation. The highest peak is called Sant Jeroni (Saint Jerome) and stands at 1,236 meters above sea level. The importance of this mountain is due to the legend of the miraculous appearance of the Madonna and Child in one of the caves. This cave received the name Santa Cova (The Saint Cave). To this day the wood carving of the Madonna and Child are kept in the Church of the monastery and it is possible to visit it. This image of the Madonna is popularly known as La Moreneta (The Black Madonna) for its dark color. The color is the result of a reaction caused by varnish. La Moreneta´s holiday is on April 27th. Due to the legend of the Madonna, the mountain has been linked with spirituality. Besides the main monastery of Santa María de Montserrat, there is a great number of small churches and chapels, some of them abandoned. The main monastery stands at 720 meters above sea level. Nowadays there is a community of 80 monks that live there and follow the rule of Saint Benedict. 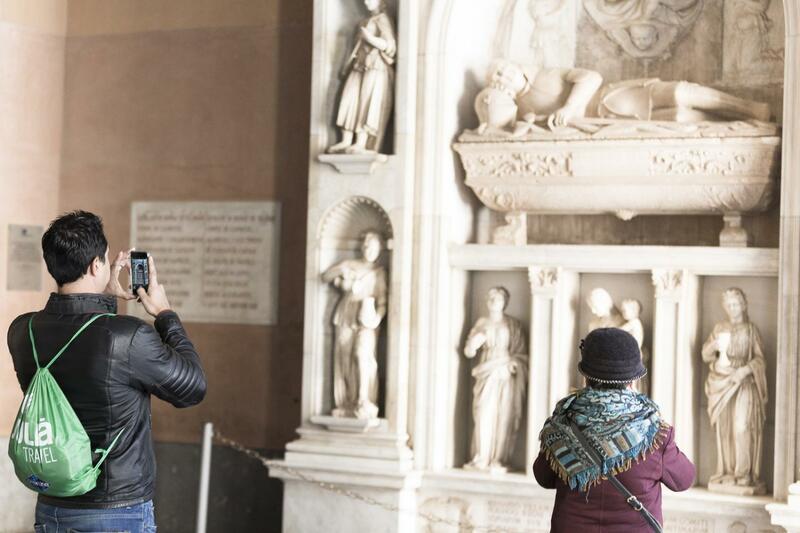 From 01st April to 31October the second part of the tour departs at 3.00PM. Check in is at 2.45PM in Julià Travel Office, in street Balmes nº 5. From 01st November to 31March the second part of the tour departs at 2.15PM. Check in is at 2.00PM in Julià Travel Office, in street Balmes 5.